The Battle of Vimy Ridge began on Easter morning 1917. Amid sleet, mud and shellfire, the soldiers of the Canadian Corps fought their way up the ridge to take the high ground overlooking the Douai plain. This stunning victory followed years of failed attempts to retake the ridge, and months of planning and preparation for the operation. The ridge had fallen into German hands during the initial advances of 1914. Since then, around 150,000 French and British soldiers had fallen trying to retake it. The Germans had been fortifying their positions on the ridge for years with deep bunkers, overlapping fields of machine gun fire and layers of barbed wire. When the Canadians attacked, they faced around 8,000 entrenched German defenders. A preliminary bombardment began on March 20 and lasted for thirteen days. In the meantime, Andrew McNaughton and his counterbattery staff were hard at work finding and silencing the German guns. The Royal Flying Corps provided aerial reconnaissance, returning with photographs of enemy batteries. The objectives set for the four divisions were four lines, the Red, Black, Blue and Brown Lines. The battle began at 5:30am on April 9, with the first wave of around 15,000 men advancing under the creeping barrage of almost 1000 heavy guns. Most objectives were taken on schedule, and by afternoon most of the ridge was captured, with the notable exception of The Pimple, a high point at the North end of the ridge, where defenders held out until April 12. A key technological development that greatly contributed to the Canadians’ success at Vimy was the widespread use of the new 106 fuse in shells. This fuse made shells explode on contact with barbed wire, which marked a huge improvement from the shells used during the Battle of the Somme, which would often leave barbed wire untouched but create huge craters. The most important tactical innovation used in this battle was the rolling barrage. Early in the war, when soldiers attacked a position, the artillery would bombard that position and then stop so that the soldiers could run over and take it. However, this caused problems, as often the time between the bombardment and when the soldiers actually arrived on the position allowed the defenders time to get prepared for the attack, and inflict devastating casualties on the attackers. The rolling barrage meant that the soldiers advanced at the same time as the bombardment. At Vimy, the artillery moved forward 90 metres every three minutes. This meant that soldiers had three minutes to catch up with the barrage and silence any defenders left. Another important factor contributing to victory was the scale of preparations. The troops had been practicing and training for this battle for months. From frequent night raids to gain information on the opposing German troops, as well as night combat experience, to practice in the mock-up battlefield behind the lines, the Canadians were supremely ready for the battle. Each unit was told its objectives, as well as those of the units around it, so that they could take over should their neighbours get bogged down. Junior officers and NCOs were told the plans so that they could take over if their superiors were hit. 40,000 maps of the battlefield were also distributed to the troops. Key people in the battle included Sir Julian Byng, the beloved commander of the Canadian Corps. Well-liked by his troops, who called themselves “the Byng boys”, Byng was a British officer, who would later be promoted to General and become Lord Byng of Vimy. 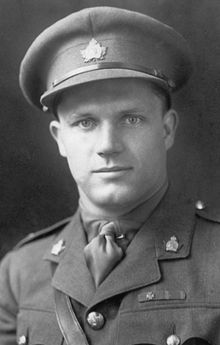 Major Alan Brooke was the 33-year old mastermind behind the rolling barrage, and Sir Arthur Currie, who would soon become commander of the Canadian Corps, was in charge of the 1st Canadian Division during the battle. The battle was a strategic victory, as Vimy Ridge was an important observation point over the whole of the Douai plain, a key industrial and railway region in Northern France. The Battle of Vimy Ridge was also the first time that all four divisions of the Canadian Corps had fought together. This symbolically showed the strength of Canadians when the fought as one. It was also important that the Canadian Corps, this small colonial unit, had managed to do what both its former colonial powers could not do in retaking the ridge. The Canadian Corps attacked Vimy Ridge 98 years ago. The German position had successfully resisted earlier Allied attacks, and it was heavily defended. But the Canadians took the ridge and in the process made the Corps’ great reputation. By 1917, Canadians had been fighting for two years. 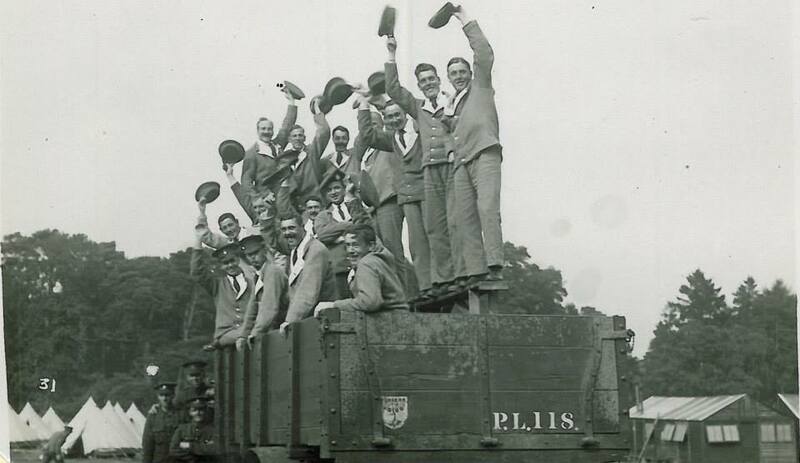 The raw levies that held the Germans off at Ypres in April 1915 now were experienced soldiers. But the key to the success at Vimy came when Byng sent General Arthur Currie of the First Canadian Division to study the methods of the French. Currie learned they emphasized reconnaissance and used air photos extensively, distributing them widely. When they attacked, their objectives were geographical features, and the French rehearsed their tactics. Currie recommended the Canadians, like the French, follow suit. In the battle for Vimy Ridge, Currie’s ideas played the decisive role. Stunned by the Canadians’ success, the Germans retreated. The Corps, having sustained 10,602 casualties, dug in after a gain of 4,500 yards. Byng received a promotion to command Britain’s Third Army. Replacing him was the 41-year-old Currie, the first Canadian to command Canada’s army in the field. As dawn broke on that morning at Vimy, close to a hundred thousand Canadians poured from trenches, dugouts and tunnels, surged up a slope and conquered an enemy position considered impregnable by its German defenders and, frankly, by Canada’s allies. Only one of the four Canadian divisions failed to conquer all its objectives by noon on the 9th but by April 12, a cheeky telegram from a brigade commander “I am King of the Pimple” told Canadian commanders that the job was complete. Canadians should remember that Vimy Ridge was not their triumph alone. British artillery and the elite 51st Highland Division helped make victory possible. A visit to the nearby French military cemetery, Notre Dame de Lorette, reminds us that ten times as many French soldiers died to bring the Allied line to the edge of the Ridge as well as providing visitors on a clear day with the best view of the Canadian objective. It was a costly victory. Ten thousand Canadians lay dead or wounded on the 9th: the worst day’s losses for Canada in the war. A British military advisor, Major-General Willoughby Gwatkin, had warned Sir Robert Borden’s government that voluntary recruiting could only keep two divisions in the line. Vimy’s losses forced Canada into the deeply divisive policy of conscription: forcing young men to serve, a policy that divided Canadians more deeply than ever before. What choice did Sir Robert Borden’s government really have? With the congratulations of his fellow premiers ringing in his ears, could he even think of announcing that Canada’s fighting army would be cut in half? Canada’s fragile unity was another casualty of Vimy Ridge. Vimy was followed by other Canadian victories, some of them even greater feats of arms. Sir Arthur Currie, Canadian Corps commander after Sir Julian Byng, the victor at Vimy, was promoted, boasted that he had won an even better victory at Lens when he persuaded his British commander-in-chief to let the Canadians capture Hill 70, forcing the Germans to counter-attack at enormous cost in German soldiers’ lives. Currie’s arguments for smarter tactics carried weight chiefly because of Canadian success at Vimy. The Vimy experience provided a pattern for future successes. The Canadians had rehearsed tirelessly before the battle. They dug trenches and tunnels and piled tons of ammunition for the heavy guns that pulverized German trenches and wiped out most of the German artillery hidden behind Vimy Ridge. The motto for Canadian success was “thorough”. Nothing that could help soldiers succeed would be ignored. Digging trenches and tunnels and lugging artillery shells through miles of wet, muddy trenches was brutally exhausting work. Soldiers grumbled and complained but they needed to win the war before they could go home. Exhaustion was a small part of the price. The Vimy victory shaped a Canadian way of making war. Other nations might celebrate flamboyant valour or dogged sacrifice; Canadians built on the conviction that only thorough preparation could spell success. At Hill 70, at Amiens, in crossing the Canal du Nord and even by capturing Passchendaele in October 1917, Canadians could take pride in their “ever-victorious” Canadian Corps. No one claimed that their general, Arthur Currie, was a charismatic commander. Few soldiers realized that he took his best ideas from men in the ranks of his Corps. In August 1918, Borden and other premiers from the British Empire agreed that the war was destined to last two or three more terrible years. It ended on November 11. At Valenciennes on November 1, with Vimy-style tactics the Canadians collapsed the last German defensive line. 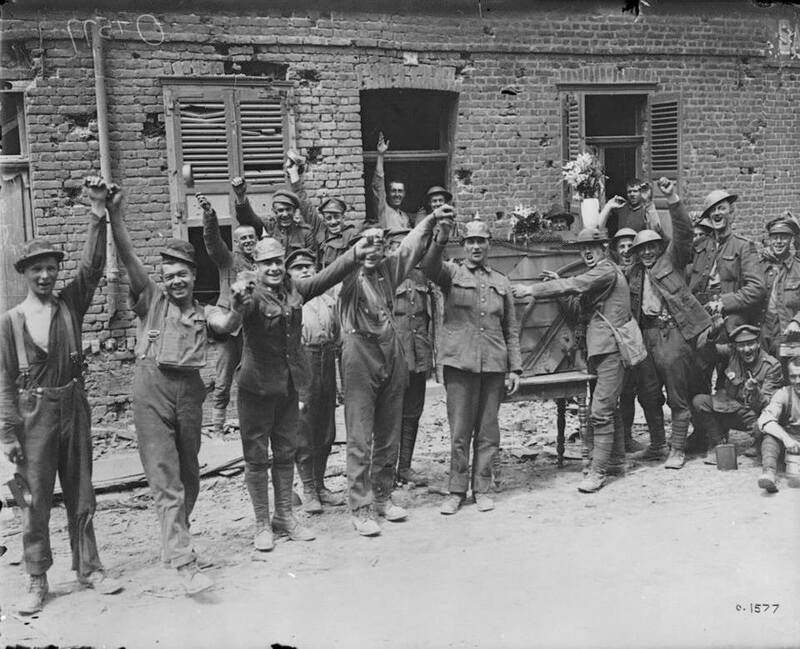 Ten days later an Armistice was signed. Canadians had done a great thing and, with French and English, First Nations and recent immigrants, they had done it together. As Renan had foreseen, Canadians had shaped a nation. Back on Vimy Ridge, a grateful France gave them land to commemorate their success and their sacrifice. Let us remember the cost and the achievement. For most conspicuous bravery or some daring or pre-eminent act of valour or self-sacrifice or extreme devotion to duty in the presence of the enemy. The medal was instituted on February 5, 1856 with awards retroactive to 1854. The first award to a Canadian was in February 1857, to Lt. Alexander DUNN (Charge of the Light Brigade). There have been 1,351 Victoria Crosses and 3 Bars awarded worldwide, 94 to Canadians (Canadian-born or serving in the Canadian Army or with a close connection to Canada). 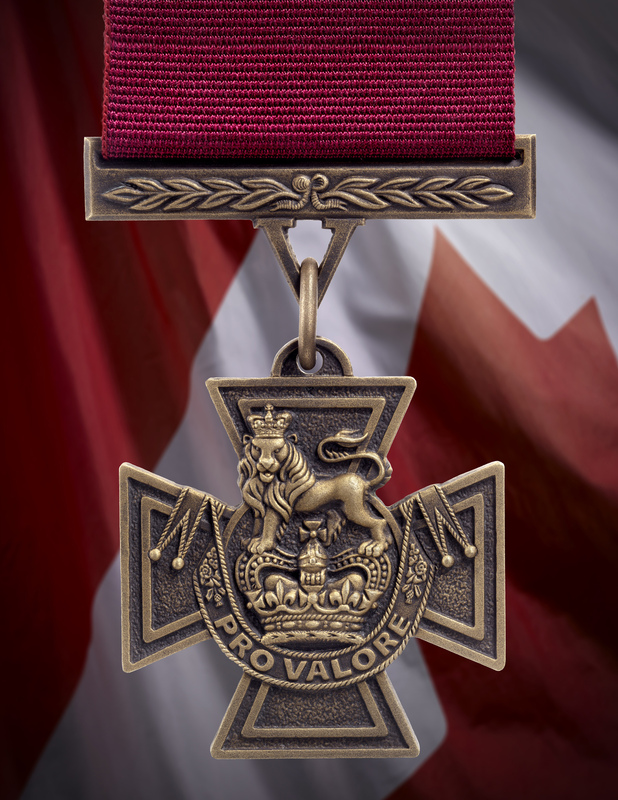 In February 1993, Queen Elizabeth II granted approval for the creation of a Canadian Victoria Cross (VC). The Canadian VC maintains the resemblance of the original British VC, except for the insertion of the Latin inscription, “PRO VALORE”, replacing the original English inscription, “FOR VALOUR”. No Canadian has been awarded the Victoria Cross since the inception of the Canadian version in 1993. Consequently, the following describes the original British Victoria Cross, as has been awarded to all Canadians since the Crimean War. Description: A cross pattee, 1.375 inches across, with a dark brown finish. Made from cannons captured from the Russians during the Crimean War. Obverse: The obverse displays the Royal Crown surmounted by a lion guardant. Below the crown, a scroll bearing the inscription: FOR VALOUR. Reverse: Raised edges with the date of the act engraved within a raised circle. Mounting: A straight bar (ornamented with laurels), slotted for the ribbon, has a V-lug below. A small link joins the V-lug to a semi-circular lug on the top of the cross. Ribbon: The crimson ribbon is 1.5 inches wide and a miniature cross is worn on the ribbon in undress. The ribbon was dark blue for naval recipients until 1918 with Able Seaman William HALL, RN, being the only Canadian VC winner to wear the blue ribbon. Naming: The recipient’s rank, name and regiment are engraved on the reverse of the mounting bar. In the first of a new historical series on the Battle of Vimy Ridge, the Foundation looks at some of the soldiers present at the battle, and the heroism they showed in this landmark victory by Canadian forces. It is truly difficult to comprehend the chaos of battle, especially one as intense as the Battle of Vimy Ridge. April 9, 1917 was not the first time that Allied soldiers had dared to cross no man’s land at Vimy, but each previous attempt had only resulted in significant losses, as the Germans repelled the onslaught. Their defences were considered almost impenetrable. The Allied troops thrown against them unfortunately suffered the fate of cannon fodder. That swiftly changed beginning on April 9, when the four divisions of the Canadian Corps, fighting together for the first time, made the charge at Vimy. Their determination was palpable, and with a new strategy and newfound drive, they saw success by taking Vimy Ridge. 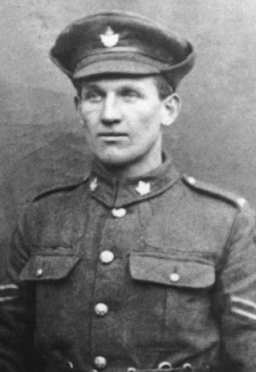 Private William Milne of the 16th Battalion: On April 9 near Thelus, the 24-year-old Milne saw an enemy machine-gun firing upon fellow troops. Crawling on hands and knees he managed to reach the gun, kill the crew, and capture the gun. Milne later repeated this action against a second enemy machine-gun crew, but was killed shortly afterwards. Milne’s body was not recovered from the battlefield. He is commemorated on the Vimy Memorial, France. Lance-Sergeant Ellis Sifton of the 18th Battalion: During the attack in enemy trenches Sgt. Sifton’s company was held up by machine gun fire. Having located the gun he charged it single-handed, killing all the crew. A small enemy party advanced down the trench, but he succeeded keeping these off till our men had gained the position. In carrying out this gallant act he was killed, but his conspicuous valour undoubtedly saved many lives and contributed largely to the success of the operation. Sifton is buried in the Lichfield Crater Cemetery near Neuville-Saint-Vaast, France. 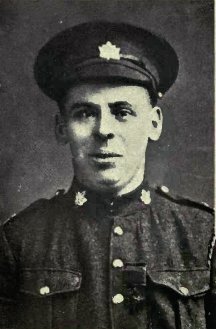 Private John Pattison of the 50th Battalion: On April 10, when the advance of Canadian troops was held up by an enemy machine gun, Private Pattison, with utter disregard of his own safety, sprang forward and jumping from shell-hole to shell-hole, reached cover within thirty yards of the enemy gun. From this point, in the face of heavy fire he hurled bombs killing and wounding some of the crew, and then rushed forward overcoming and bayoneting the surviving five gunners. Pattison was killed on June 3, 1917 making an attack on a power station near Lens, France. He is buried in the La Chaudière Military Cemetery, France, approximately 3 kilometres south of Lens on the north-western outskirts of Vimy. 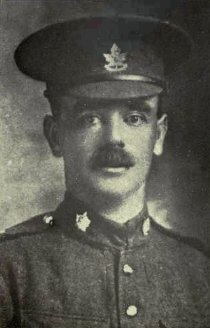 Captain Thain MacDowell of the 38th Battalion: On April 9, Captain MacDowell, with the assistance of two runners (company orderlies, Privates James T. Kobus and Arthur James Hay, both of whom were awarded the Distinguished Conduct Medal for their part) reached the German position ahead of his company. After destroying one machine-gun nest he chased the crew from another. MacDowell then spotted one German going into a tunnel. At the base of the tunnel, MacDowell was able to bluff the Germans to think he was part of a much larger force, resulting in the surrendering of two German officers and 75 German soldiers. He sent the prisoners up out the tunnel in groups of 12 so that Kobus and Hay could take them back to the Canadian line. Although wounded in the hand, MacDowell continued for five days to hold the position gained, in spite of heavy shellfire, until eventually relieved by his battalion. He was the only Victoria Cross recipient to survive the battle. He died on March 29, 1960 and is buried in the Oakland Cemetery in Brockville, ON. 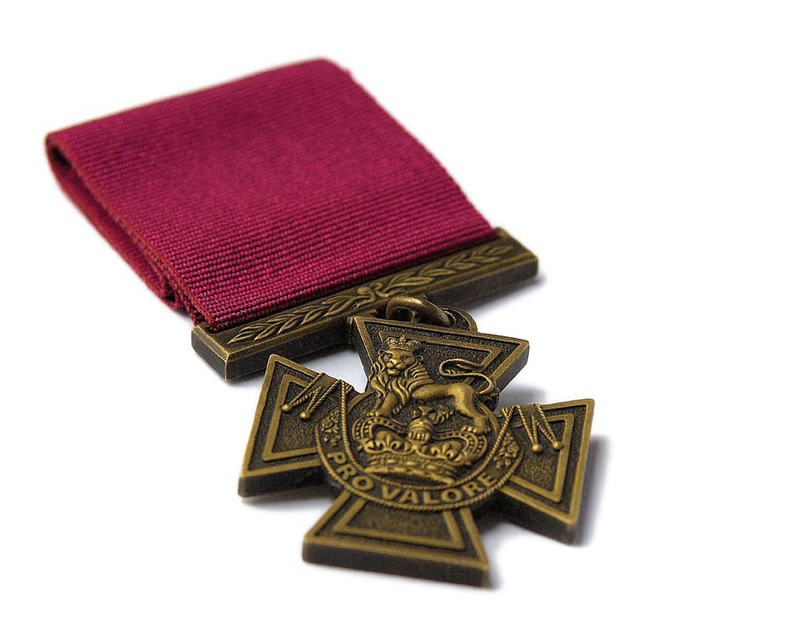 Learn about other Victoria Cross recipients of the First World War. At the outset of the First World War the Canadian Expeditionary Force was by and large formed out of newly created units in addition to the Regular Forces and Reserve units (Permanent Forces and the Militia in 1914 terminology). These new units were traditionally designated as numbered battalions, for example the 37th Battalion. This created a huge problem at the end of the war. With the inevitable disbanding of the units of the CEF military officials came to realize that the history and battle honors won by these new units would be lost forever. A special commission was thus established in order to aid in the preservation of these honours through the linking of disbanding units to Regular and Reserve units with the Canadian Military. The list of Regiments displayed is a combination of Permanent Force units that fought and won the Battle Honour Vimy, 1917 and the Regiments that perpetuated that Battle Honour from the numbered battalions of the CEF.